Like with any other competitive exam, changes in the exam pattern are expected almost every year in the SBI PO Exam too. Sometimes there is a major overhaul of the exams structure, at others, some minor tweaks are introduced. For the SBI PO Exam 2018, the basic structure is the same as the previous year’s, except for two key changes – adding the sectional timing concept to prelims and removing sectional cut-off from both prelims and mains. Knowing what awaits you on the day of the exam helps you prepare better. With the introduction of sectional timing, for instance, you need to be well-versed with all the subjects to be able to get through each section in the stipulate timeframe. The next important step is to have a deep understanding of your subjects. Not just the syllabus overview but the actual the break-up of different topics and their weightage in the exam, so that you focus on the more important bits and go easy on topics that do not carry a significant mark-share in the exam. For instance, you must know how much marks do the reading comprehension, para jumbles, vocabulary, sentence correction etc carry in the English exam. 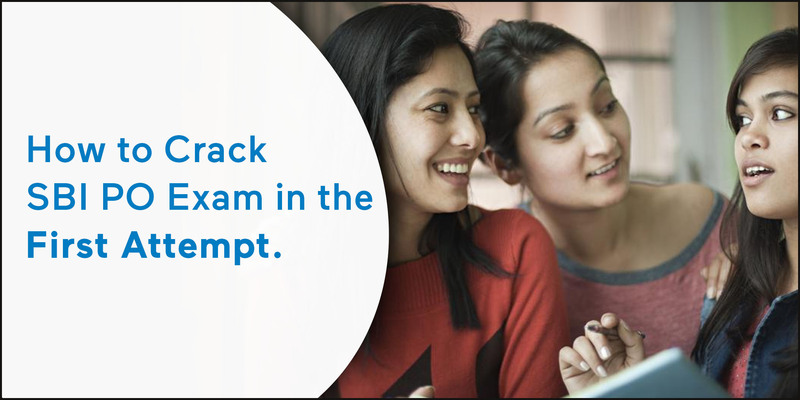 Here going over SBI PO mock test papers PDF can help you get a realistic idea of marks distribution and steer your preparation in the right direction. Be it Quantitative Analysis, Reasoning Ability or English, SBI PO Exams entail subjects that do not come with a limited, specific syllabus. These are all relatively simple albeit vast areas of study and there is no end to the possibility of question that can be thrown at you. So, rote learning from a handful of books will not help. The only way you can be confident of solving any question from any of these subjects is if you understand them inside out, so diversifying your study material will stand you in good stead. Access SBI PO preparation books in PDF and e-book formats to broaden the scope of your learning. There are a lot of mock papers and practice tests available online today. Take advantage of these SBI PO preparation online tools to get a reality check on your performance and preparation levels. When attempting these mock tests or quizzes online, focus on sticking to the sectional timing and finishing each section in the given time without compromising your accuracy. You may struggle at first but this will eventually improve your speed and help you perform well in the exam. Focusing on the prelims preparation alone at first and starting with the mains syllabus afterwards is a rookie mistake. Understand that the mains will be more difficult than the prelims and you may not have enough time at hand to be thoroughly prepared for it if you wait until after the prelims exam. So, make a timetable that allows you to focus on the prelims as well as mains syllabus at the same time. And finally, don’t lose steam in the final run-up to the exam. Keep studying, revising, practicing and you’ll sail through.